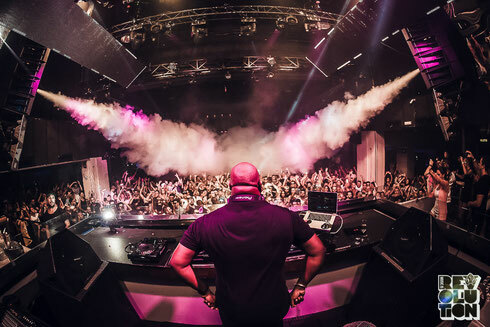 This summer is Carl Cox’s final ever season at Space Ibiza. Kicking off on 14 June, Carl returns for a record 15 weeks, with a big line up for every single party. Opening the season, Carl is joined by Luciano and Cristian Varela in the main room, whilst on the covered terrace there’s Matthias Tanzmann, Michel De Hey and BBC Radio 1’s B.Traits. The Closing Party on 20 September will find Carl joined by DJ Sneak, Nic Fanciulli and tINI on the covered terrace, for an emotional night on the dance floor and on the decks as Carl plays at Space for the very last time. He’s on his own in the Discoteca, playing all night long, with what may be one of his most iconic sets of his whole career. Brands hosting the EL salon and Premier Etage this year include: Clara Da Costa Presents Jacks House, Electronique, Digital:Groove and Unity Radio. Plus Future Disco will be hosting two nights on the Sunset Terrace during the Season with Ashworth, Few Nolder (Live) & Future Disco resident Sean Brosnan. As well as Angels Of Love who return to host the Sunset Terrace throughout August. Ibiza Sonica & Ibiza Global Radio will also be broadcasting from the Sunset Terrace over the summer.